Ayurveda Dosha | Modern Ayurveda as healthy lifestyle for Westerners. Ayurveda treats people individually according to their personal constitution and surroundings; knowing your Dosha constitution is crucial to learning how Ayurveda can help you. Ayurveda is a leading alternative medicine and probably the most holistic medicine system existing. It translates to “Science of Life” and with its 5 000 years of history Ayurveda is also the oldest known healing science — preserved until today in India, where it stems from. It was established by the same great Vedic seers and sages that invented Yoga and Meditation. Originally there were four main ancient books serving as the fundament for Ayurveda: the so called Vedas which used to be secret knowledge of the Brahmans and were to be known by heart and passed on verbally. The Vedas are covering topics from health over surgery to ethical living. And while all of those books still form the basis of today’s ayurvedic knowledge, it is said that Ayurveda itself eventually evolved from the fourth book, the Atharva-Veda, which discusses spirituality as healing aspect. Ayurvedic morning routine - The power of "me" time. Do you strive for success? Research suggests, the most successful people in the world incorporate a morning routine into their daily activities, promoting balance, calmness and focus. People of the western world are getting more and more aware of their increasingly stressful lifestyles, more often than not including unhealthy diets unconsciously draining all their energy while it should be the other way around. 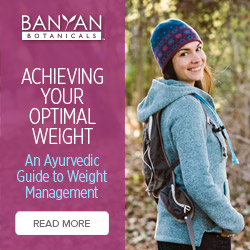 Ayurvedic diet is a natural and gentle way to healthy eating habits and in turn a healthy, harmonious lifestyle. Get there in 6 easy steps. Whilst appreciable care has been taken in the preparation of this web site, the information provided do not replace treatment from a legally qualified medical practitioner. Always consult your healthcare provider before taking any action. AyurvedaDosha does not take responsibility for any issues resulting from the use of the provided information. Balance your Doshas even better!